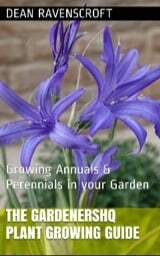 The hardy perennial Aquilega typically flowers from mid spring until early summer. They vary in size, smaller types are as little as 10 cm in height, whilst larger varieties can grow to as high as 90 cm. They often have multicolored intricate flowers that sit on top of a thin stalks, which themselves carry toothed leaves. Columbine make an ideal plant for a woodland simulation. 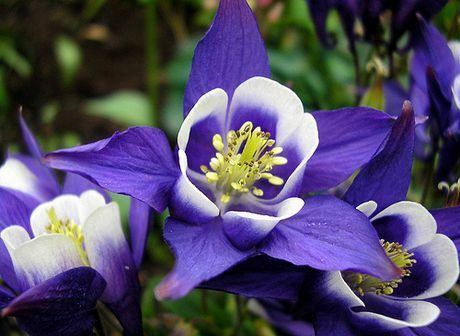 Aquilega - Columbine by Photogirl7.1. Flower Details: Multiple colors; Purples, Pinks, Reds and Yellows are common. Sow: Sow in the spring or Summer. If sowing in the spring refrigeration is required, if sowing in the Summer skip the refrigeration step and keep outdoors over winter. Use flats containing moist soil, wrap in plastic, refrigerate for 18 to 20 days. Remove plastic, sink flat in shady location, Cover flat with glass. Transplant seedlings to final location as they appear. Germination time 1 to 3 months. Transplant to final location following the last frost. Space small species 6 to 12 inches (15 to 30 cm) apart; Large species should be spaced at 16 to 20 inches (40 to 50 cm). Requires: Best results in partly shaded conditions. Can be grown in full Sunlight in cooler areas. Provide with a winter mulch. Soil pH 5.5 to 7, Good drainage, Moist, Humus rich soils, Regular watering, Deadhead, Stake tall varieties. Susceptible to leaf miner, remove infected leaves. It is best to start Aquilega off indoors. Seeds should be imbibed for three weeks; this can be achieved by sowing the seeds in moist soil in flats and then placing in the fridge. Following germination the flat should be sunk into the ground in a shady location in spring. Once seedlings begin to appear they should be transplanted. If growing to the seedling stage indoors they should be sown out with a spacing of fifteen to thirty centimeters for smaller varieties and with a spacing of approximately 40 to 60 centimeters for larger varieties. Aquilega should be sown out after the last frost of spring. 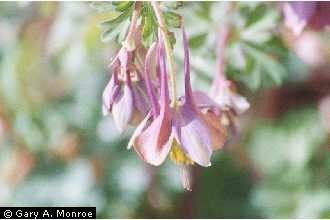 Aquilega has a preference for shady conditions but is able to survive in full sunlight in mild areas. The ideal soil type should be humus rich, well drained and with a pH of 5.5 to 7.0. 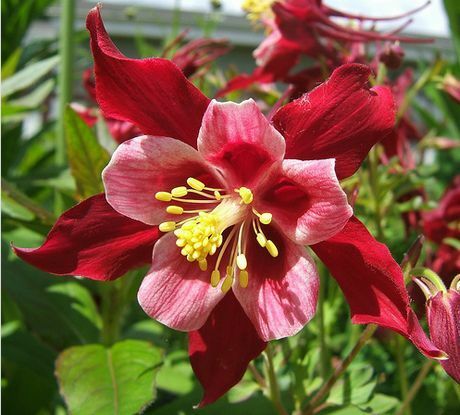 The seedlings of the Columbine plant are very delicate, it is therefore very important to treat them gently when transplanting; they should be kept moist and out of full sunlight. Aquilega should be deadheaded to enable continue blooming throughout its flowering season (see above). Taller varieties should be staked, and short lived varieties should be replanted every three or four years.